Damaging Lies in the OJ Simpson Trial – maddoggbuttkickingbrown's real truth! Click the play button first on the highway scene below and we’ll explain its significance in the article. The toll that false innuendoes and outright lies surrounding the OJ Simpson case have taken over the past 20 plus years have been psychologically damaging in a number of ways but tends to get overlooked as it relates to the people closest to Simpson in his own family. The siblings of OJ Simpson, particularly OJ’s remaining sister, Shirley Simpson-Baker, lost her sister Carmelita Simpson-Durio behind the stress of this perennial case. Shirley, herself, has experienced quite a psychological ordeal while attempting to maintain employment due to the wrath engendered in the arena of public opinion as a result of this false narrative that encompasses what has become perceived as the truth of the Simpson case. 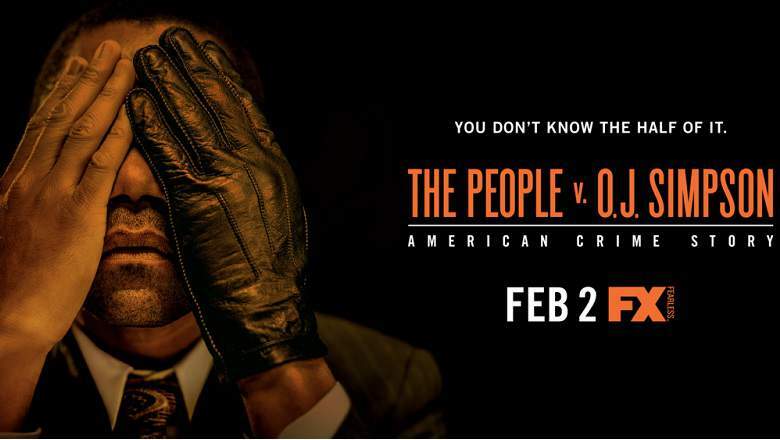 It is particularly so with much of the fictional presentation back in February 2016 of the multi-chapter FX mini-series by director Ryan Murphy, The People V. O.J. Simpson, based on presumptive truths of Jeffrey Toobin’s book “The Run of his Life”. 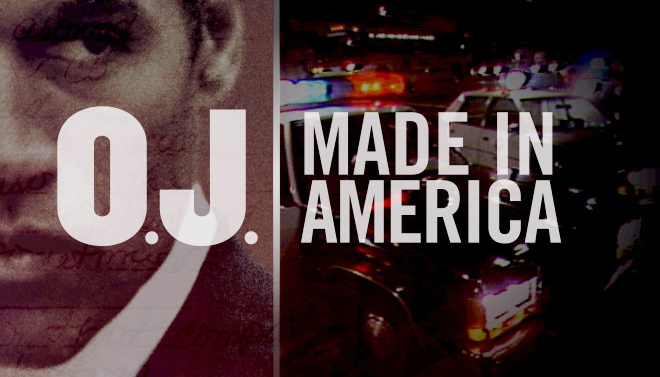 With barely a few months in between the end of this 10 part series we had the next televised series purporting to provide viewers some level of truth in this now infamous case, in an ESPN 30 for 30 documentary produced by Ezra Edelman entitled O.J. Made In America. Quite often the media will use OJ Simpson as a hook to draw viewers to a certain site for its own pecuniary gain, as one internet tabloid did in an article showing the children of Hollywood celebrities and how they looked years ago versus how they look now. Although Simpson, holding his youngest daughter was shown on the front page to draw the public’s attention, it would take another 81 clicked pages before getting to the latest picture of Simpson’s youngest daughter, Sydney, shown above as a child held in the arms of OJ and walking with her younger brother, Justin. From the beginning pages to the point of reaching Sydney as a 28-year-old adult, all of the grown-up children in the collage of pages appear to look normal in weight and demeanor, and most have a noble bearing in their appearance as adults. However, when we finally get to OJ Simpson’s daughter, and the article displays an image of Sydney, she looks haggard, much older than her age, and way overweight with an image of suspicion on her face. Other alleged witnesses claim she is somewhat of an introvert simply looking to be left alone relative to any reminder of the infamous murder case regarding her father. I could not help but think that the author of this story presented the photo of Simpson’s daughter simply to pacify the crude diabolical minds of those who still believe in giving Simpson what he deserves by punishing his children. The photo seemed to say, “see how well nourished and handsome all of the other celebrity children are and now look at the alleged killer, OJ Simpson’s child”. This present image of Sydney is a far cry from the last time we saw her, as investigators at the residence of Simpson to apprise him of the malfeasance of officially hidden evidence. As a young teenage girl back then, in 1999, she had a lithe athletic body and was well on her way to becoming a gorgeous beauty. She was, we were told, an outstanding player with; the volleyball team at the middle school she attended in Brentwood, but that was many media bombardment years away from where we are today. Given the one-sided nature of the attacks against her father, it is highly probable that the stress has worn her down and contributed to today’s bloated appearance of Sydney. Since she has locked herself away from public interaction, there are many things concerning investigative evidence that we could show that we’ve uncovered of malfeasance involved in framing her father. However, we cannot share with her what is in our investigative file because of this volunteered solitary confinement she has chosen by her own volition. Just take the woman, Khloe Kardashian, the media claims to be Sydney’s half-sister fathered by her dad with Kris Kardashian Jenner. There is an uncanny resemblance, whether true or not, that in my opinion shows the potential that both have if interested in modifying their physical appearance. Khloe Took on the challenge of becoming more physically fit undoubtedly due to her own circumstances of pressure, probably from both the attention of the media and sibling rivalry from her other svelte sisters. 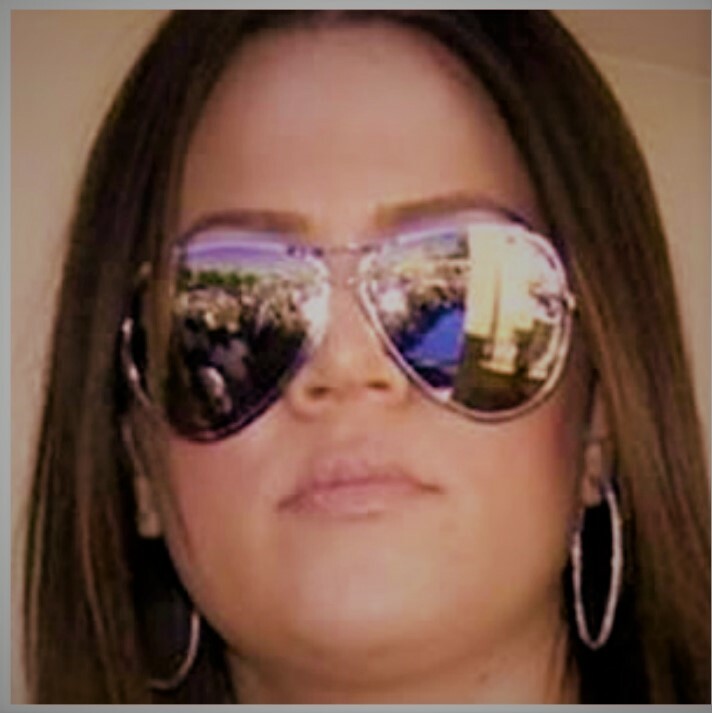 Just take for comparison the woman, Khloe Kardashian, that the media claims to be Sydney’s half-sister fathered by her dad with Kris Kardashian Jenner. There is an uncanny resemblance, whether the relation is actually true or not, that in my opinion shows the potential that both has if and when interested in modifying their physical appearance. Khloe Took on the challenge of becoming physically fit undoubtedly due to her own circumstances of psychological pressure, probably from both the attention of the media to her siblings and possibly family criticism itself. Sydney has yet to do so by hiding within the inner sanctums of her mind, where she appears to have the ability to ignore her present body image as well as the future damage to her overall health for which it may be attributed. 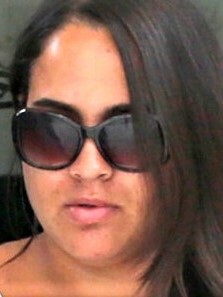 With the intense media pressure Khloe was under, given the appearance of being a behemoth over her other svelte sisters, Kim, Kourtney, Kendell and Kylie Jenner, Khloe went to work transforming herself and particularly her body image, to give the others stiff competition on the red carpet and in the weekly rags. Now she’s gone from literally being the gargantuan sister of packi-dermatic proportions to a lean, mean, fighting machine. She’s become a tall gorgeous lady with unique attractive features of her own beyond those similarities of her other K sisters. However, if one looks closely you can see the physical similarity between Sydney Simpson and Khloe Kardashian. One can see the same physical potential in Sydney Simpson that is ready to be transformed into a stunning beauty herself, with a similar height and build as Khloe. If Sydney can ever bring herself to come out of that dungeon of doom which she has imposed on herself by locking out the public she has all of the attributes on both sides of her own family tree to be gorgeous. The first step, in my opinion, is a psychological one and to whatever extent we can help in dissolving the false illusion of her father’s guilt in committing the murder of her mother Nicole and Ron Goldman, we are prepared to do so. The Physical Transformation of Khloe Kardashian from left to right. No one seems to care about what the stress of this continuous media bombardment has on Simpson’s family though with a wolf’s grin they will undoubtedly claim otherwise. After all, they have all gotten rich or received higher work advancement as a result of the vilification of Simpson. This includes Marcia Clark, Chris Darden, Bill Hodgman, Robert Shapiro, Fred Goldman, along with the TV and cable networks. Even the most unquestionable villain arguably of all, former LAPD Detective, Mark Fuhrman, the alleged supplanter, has been awarded book deals promoted as New York Times Best Sellers, along with TV deals. With the amount of money made on vilifying OJ Simpson, the toll on the physical and psychological wellbeing of his family members is merely a passing thought. Nevertheless, there is one cheap thread that authorities are determined to remain concealed that could totally unravel the veracity of the lies they’ve told in this case. This involves the telephone records of Sydney’s Grandparents, the Lou and Juditha Brown family. The actual unseen phone records indicating when the last time of the phone call was made back to Nicole upon the Browns arrival at their home in extreme southern Orange County’s Dana Point have remained concealed. They have remained concealed despite several requests by Simpson representatives to produce them. After the Browns departure from the Mezzaluna Restaurant in Brentwood (Los Angeles) at, according to the trial testimony of approximately 08:45 PM the actual records that would verify an improbable 09:37 PM phone call have never been examined by the jury. Three years after the trial was over they were removed in April of 1998 along with all of the other evidence in the Simpson case file; thus, denying public access to review and verify the record as well. Lou and Juditha Brown both told authorities on separate occasions that they arrived home by 11PM and made that final call back to their daughter Nicole in Brentwood. 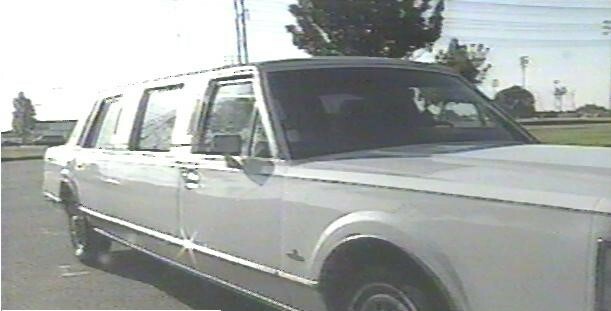 If Sydney’s mother, Nicole, was alive at 11PM as her parents both said to authorities on two separate occasions, starting at just 7 hours after the bodies were discovered at 12:30 AM, thirty minutes past midnight on June 13, 1994, then OJ Simpson could not have committed the murders since he was climbing into the back seat of a chauffeured limousine at his Rockingham residence at 11 PM. He would be hurriedly driven to LAX to catch an 11:45 PM flight to Chicago on June 12, 1994. However, by trial time in February 1995, that 11 PM phone call from Juditha Brown to Nicole on the night of June 12, 1994, had changed twice. First, it was offered to be changed to 10:17 PM as proposed by Robert Shapiro to Marcia Clark in the closed chambers of preliminary hearing Judge Kathleen Kennedy-Powell during the last day of the preliminary hearing on July 08, 1994 at a little past noon. Since Clark would not compromise in accepting the 10:17 PM stipulation the topic was sealed by the judge until they could decide what the time of that call actually was. It would not come up again until the 14th day of trial on February 07, 1995 when prosecutor Clark introduced a posterboard including the alleged time of the last phone call now turning the time back further to 09:37 PM. Immediately, but in a virtually inaudible voice, Robert Shapiro would rise in court and offer to stipulate to that time of 09:37 PM on the Exhibit 35 posterboard by claiming that the witness on the stand at the time, Mezzaluna weekend manager, Karen Crawford, could not attest to the accuracy of that phone call, so instead he would. However, in doing so, not only had Shapiro changed the time three times from 11PM to 10:17 PM, and now to 09:37 PM, but unbeknownst to Shapiro, and Johnnie Cochran 5 months later, they were locking themselves into an impossible drive time on the busiest highway system in the U.S. the I-405 (San Diego Freeway). They both by stipulating to Clark’s posterboard had reduced the normal travel time of 90 minutes to two hours in half when both ultimately stipulated to the 09:37 PM phone call. A stipulation is a tactic or action by attorneys, certainly within the state of California, that allows evidence to be accepted as fact without the jury examining it. This is what occurred in the Simpson trial with the alleged introduction of the Brown’s Exhibit 35 phone records by stipulation. As a result of the public awareness that our investigative organization received by appearing on FOX NEWS CHANNEL and COURT TV in 2000 pursuing these phone records on behalf of Mr. Simpson, those argumentative appearances impacted the sensitivities of the traffic engineers of the California Department of Transportation; CALTrans. We were given the highway volumes from CALTrans for several zones along 8.25 miles of the southbound I-405 , (as that one displayed above of Traffic Station 545 from CALTrans North of Venice Boulevard). This 8.25 mile zone stretched from just north of Wilshire Boulevard, the likely entrance of the Brown family to the I-405 and further south to LaTijera Boulevard for the Brown departure hour between 8-9 PM. The CALTrans highway engineering documents for the night of June 12, 1994, indicate that 34,500 automobiles traveled through that zone between Wilshire and Latijera within that time period. However, you cannot place 34,500 automobiles across five lanes bumper to bumper in an 8.25-mile zone. If you take the average automobile built on a 9-foot wheelbase you have an automobile with room for the hood and trunk that is approximately 14 feet in length regardless of the make of automobile. The maximum number of 14-foot vehicles you can get in each lane for 8.25 miles is 3,125, thus across five lanes that were in existence at the time in 1994, you would have only a maximum of 15, 625 vehicles. Those 15 thousand vehicles would have to pass through before 15 thousand additional vehicles could totally fill up the space bumper to bumper. The implication is that if it took a bit more than a half hour for each segment of the 34,500 autos to go through that 8.25 mile zone, it took then an hour to travel 16.50 miles. Thus, the average speed would have been reduced well below 30 MPH and actually below 20 MPH based on our calculation. There was no completed HOV lane system at the time since the whole system was in year two of construction in 1994 according to CALTrans traffic engineers. The fifteen mile HOV construction zones further exacerbated travel speed and caused higher density by reducing speeds to below 30 MPH as well. The number of lanes were reduced as a result of on-going construction through these 15 mile construction zones in 1994. The Brown family lived a distance of 72 miles away from Brentwood, and thus, if they made the phone call in an hour they must maintain an average speed of 72 MPH from door to door. This included their driving on surface streets through 19 stop lights and at least four 90 degree turns to drive the 72 mile distance in an hour. Anywhere along the way that there travel speed fell below 72 miles per hour the difference for an equivalent number of miles had to be added on top of 72 MPH. Through the 8 mile freeway zone of data we have from Wilshire Blvd to Latijera Blvd, the travel speed was below 30 MPH. Thus, one would be required to add 42 MPH on top of 72 MPH (72 + 42) or 114 MPH. The Brown’s vehicle would have to attain and maintain that speed of 114 MPH for at least 8 miles for the Brown family to arrive at Dana Point in order to make that crucial last phone call beginning at 09:37 PM. The data we have indicates the normal bumper to bumper conditions on the I-405 freeway as shown by the white lights in the video above flowing in the southerly direction towards Orange County and San Diego County from Los Angeles. It is highly doubtful as many highway officials have attested for the Browns to travel at that rate of speed required for them to reach their home in Dana Point between 08:30 and 09:37 PM given the traffic volume and density on the night of June 12, 1994. Since none of the timepieces for customer service appeared to be accurate according to testimony within the Mezzaluna restaurant, our investigators were able to attain the American Express receipt of Nicole Brown Simpson from its headquarters in Phoenix, Arizona. The time recorded at the AMEX headquarters in Phoenix, Arizona indicated that Nicole paid the bill with her American Express credit card for the Mezzaluna party of 10 at 08:23 PM Pacific Daylight Time (which was 08:23 PM Mountain Standard Time since Arizona does not participate in Daylight Savings Time). Examine the flow, yourself, of the similar traffic volumes of the night of June 12, 1994, in the above video of the I-405 just south of Wilshire Boulevard and you determine if the Brown family could have been driving at the rate of speed of 72 MPH in this type of traffic volume and density. If they Browns were not able to maintain that traffic speed it is unlikely that they arrived home in Dana Point after leaving Brentwood at approximately 08:45 PM to make that crucial 09:37 PM phone call. Mr. Simpson should be allowed to see those phone records. We should be allowed to see those phone records, as well as you the public too being allowed to see those phone records. Traffic conditions support the first Brown statements by both the mother and father of Nicole, that they last talked to her at 11PM on the night she was killed as Lou Brown first told Detective Tom Lange. We would love to see Sydney Simpson become that adoring physical beauty that we know lies under that sad image she now displays but to do so she must take the first step which starts with mind conversion and reaching out to us at OMIG for evidence of the truth in the Simpson case before trying to transform the body. With the psychological burden she appears to bear regarding the death of her mother and the vilification of her father, I doubt that she will be successful in changing her body image. Healthy physical transformation requires complete mental concentration and her mind does not appear able to fulfill that due diligence level of commitment required at this time. Thus, I believe that before Sydney can reach the level of comfort in developing a full body transition, she will have to endure a full mental conversion and seek the truth from all sides, including ours as to what occurred in the case and trial of her dad, OJ Simpson. We can tell her with an assurance that what the public believes based on what they have been told is based on blatant lies. There are people besides our investigative team who silently know that what we are telling you in our books and documentary above is the truth. OJ Simpson did not commit these murders, and the people who members of their own LADA’s office told them should be detained have been protected in order to promote the lie that has become the phony Simpson narrative. True information was concealed and covered up using the same judge that abetted the removal of all evidence within the Simpson case file, Judge John H. Reid. He would also use the color of his authority to seal other records of medical doctors indicating the intermittent mental sickness of the likely culprit, serial killer, who was with Nicole on several occasions. Our investigators have reviewed all of these documents but have been shut down in the United States. However, we are grateful for access to the internet and the great support from around the world we have received for revealing the truth in the most infamous trial of the 20th century in the United States. Very interesting stuff. I would note that Mrs. Brown likewise stated in a TV interview shortly after the murders that she spoke with Nicole at around 11:00 that night. This is also what she told Robert Shapiro, repeatedly. And, this is also what she told the coroner, which is why the autopsy report states that Mrs. Brown spoke with Nicole at 11:00 on the night of the murders. At one point in one of the early conversations regarding that phone call, Lou Brown said he thought the call happened “closer to 10:00” instead of “shortly before 11:00.” Ok, so he thought it might have occurred between 10:00 and 10:30, to judge from his wording. That’s still far too late for OJ to have been the killer. RE: Mrs. Brown…..Do you remember what TV show she was interviewed? It would be wonderful if you did since we’d like to track it down for a possible inclusion in a second follow-up documentary to http://www.serpentsrising.com regarding the OJ Simpson conspiracy. There’s never any better evidence in America than to have people exposing their involvement in malfeasance in their own words rather than having OMIG investigators simply asserting such allegations. I got the information about Judy Brown’s TV interview statement regarding the call time from T. H. Johnson’s book The People vs. OJ Simpson: The Real Crime. I, too, would like to know more about that TV interview, such as when it occurred, everything she said, etc. I have Johnson’s book and don’t remember anywhere in it where he wrote that Judy Brown was on TV stating she made a call to Nicole around 11 PM. I know he stated in the book that according to Robert Shapiro she adamantly repeated to him that she made the call to Nicole at 11 PM and she knew it was 11 PM because when she got home she looked at the clock and it said 11 PM. That is on page 33 of Robert Shapiro’s book SEARCH FOR JUSTICE. He also stated further down on the page that the time was subsequently changed to the earlier time of 09:37 PM but does not go into the emotional detail regarding that change as he does in explaining why she believed it was 11 PM. He stated he asked her twice and she responded 11 PM after he had been told by his defense investigators the day before that she told them 11 PM. ← The Clinton Con for Trump Suckers!